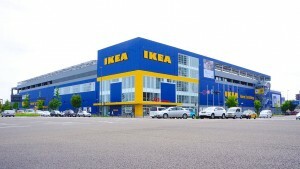 IKEA is more than merely a furniture company these days. In fact, the company is collaborating with solar firm Solarcentury in order to sell solar panels and home batteries to customers in the United Kingdom. The solar battery storage package starts at £3,000 (approximately $3,970 USD), and will work with existing solar panels, enabling IKEA customers to store solar energy from the sun and utilize it as needed. According to IKEA, using solar storage can potentially help the average home double its solar electricity usage to 80 percent, on top of slicing electricity bills by upwards of 70 percent.